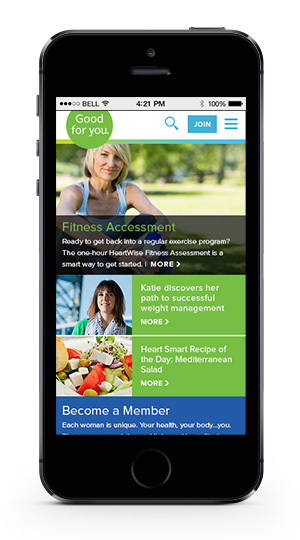 In August 2014, Baptist Health rolled out Good For You. 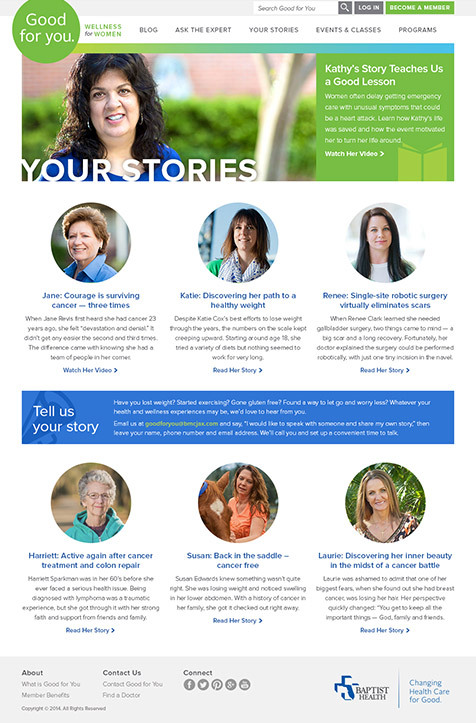 Focusing on issues of women's wellness the portal features original content, Q&A with experts, and partnerships with events, such as Speaking of Women's Health. 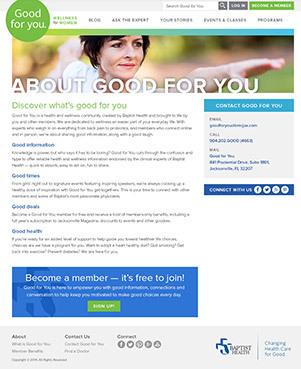 Developing a great relationship with Baptist's marketing team, allowed Good for You to exemplify the possibilities of true collaboration of external and internal teams. 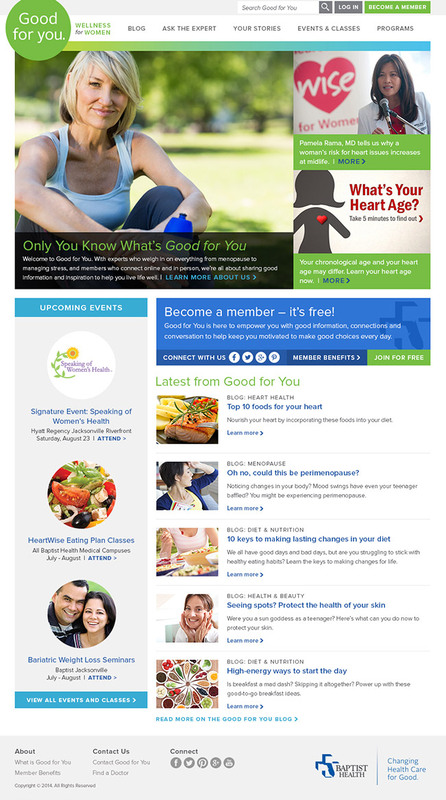 Offering free membership, Good for You provides regular wellness information via email newsletters, offers free Jacksonville magazine subscriptions, and encourages users to log in to comment on posts and even ask doctors and other experts questions important to them. Members can also comment on any articles and posts - helping one another achieve their wellness goals - will having access to experts. 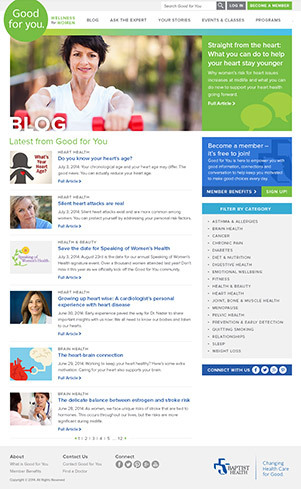 Far from being a simple blog, Good for You provides answers from doctors and other experts from member submitted questions, provides the ability to register for upcoming events, review galleries of past events, read the stories of other members, in addition to keeping up to date with the latest in wellness for women. 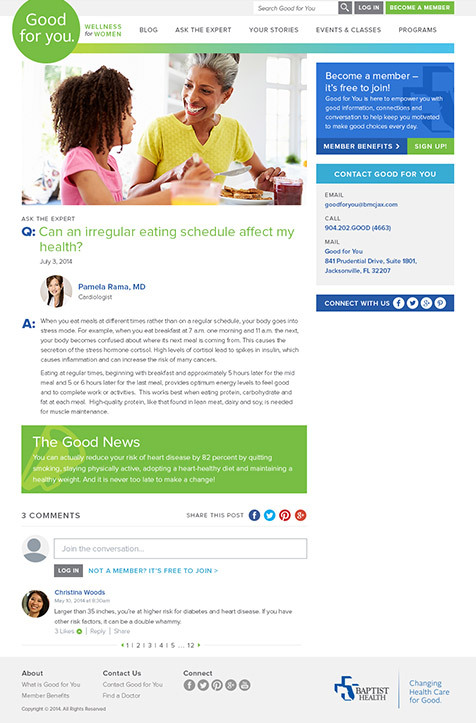 Ensuring that all of Good For You's content was accessible, readable, and legible across all screens a user might use to see wellness information was a requirement from day one. 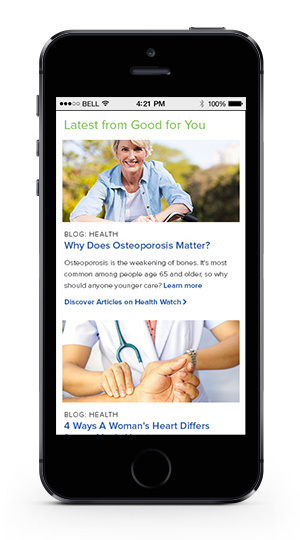 The resting application is completely responsive, allowing for users to have access to Good For You's original content and event details wherever they are. Additionally, a significant part of the Good For You's activities and rollout strategy is to have a physical presence at women's health events year round. 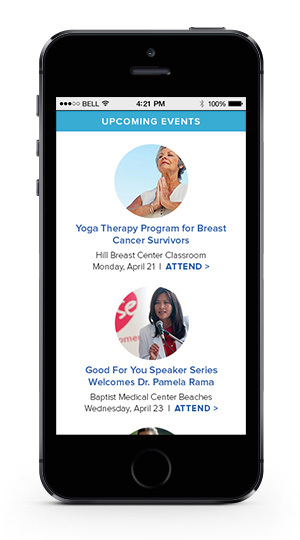 This created a significant use case where a user's first introduction to Good For You is at an event where they would likely check out the portal on site, on their phones.